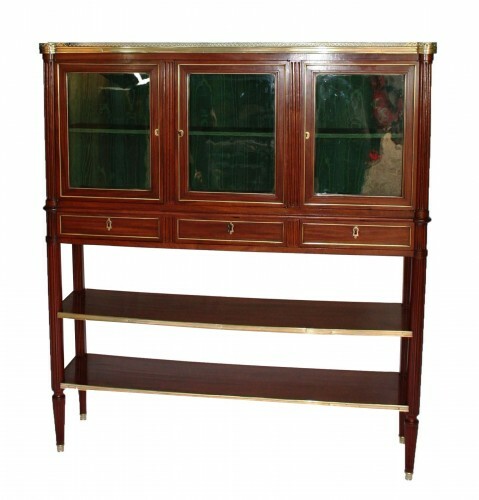 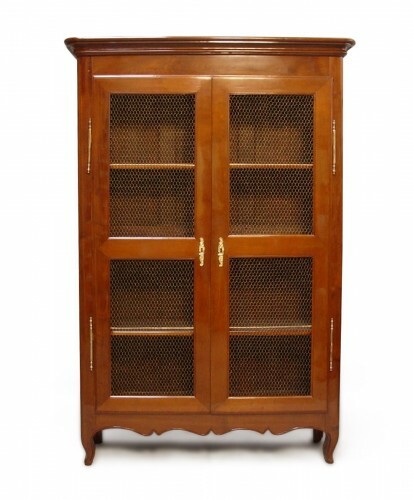 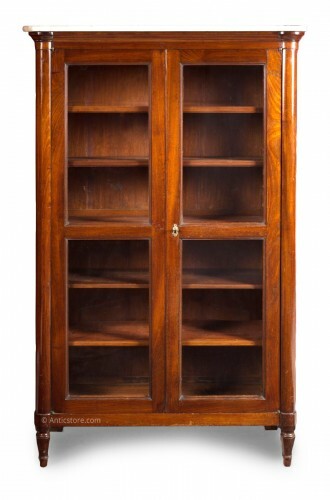 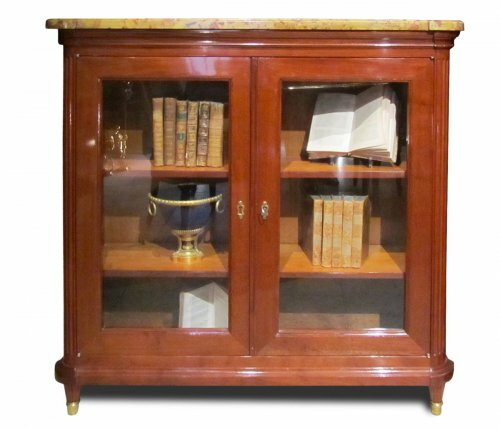 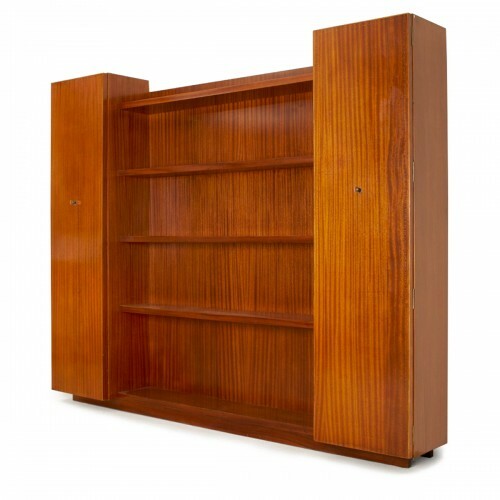 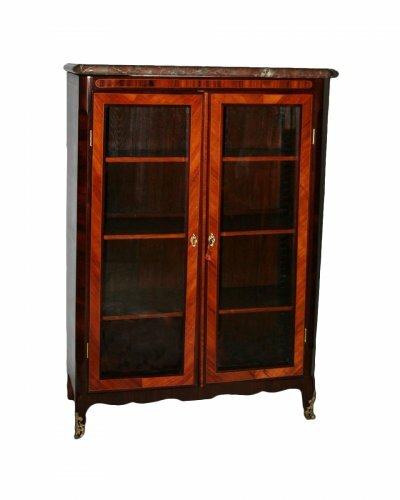 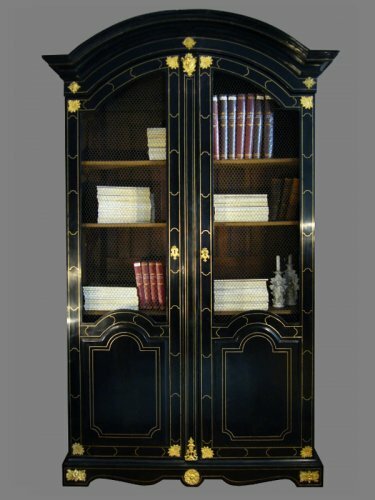 The bookcase emerged at the dawn of the eighteenth century. 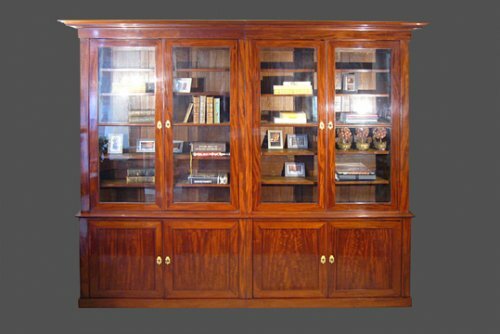 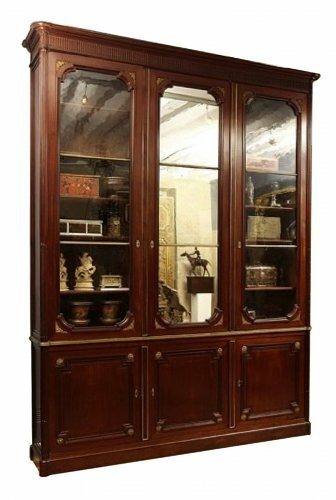 Largely based on cupboards, this storage cabinet was appreciated for its visible shelving for displaying various works (sculptures, decorative items, books, etc.). 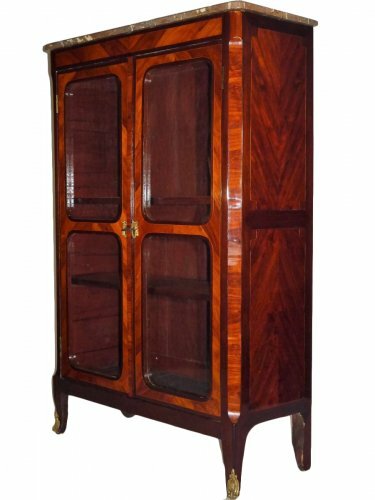 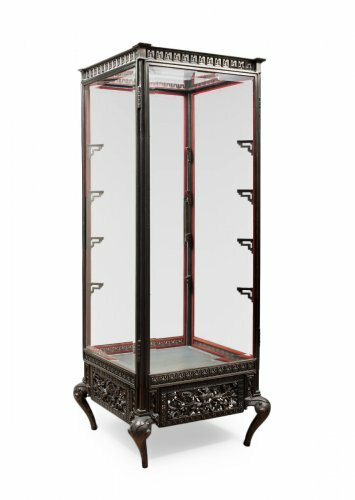 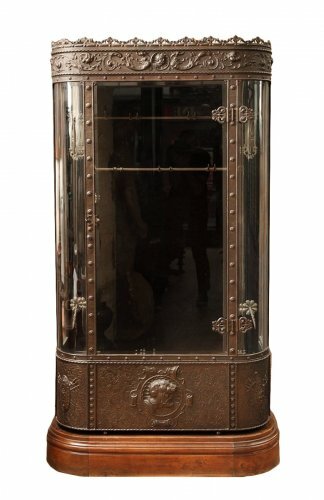 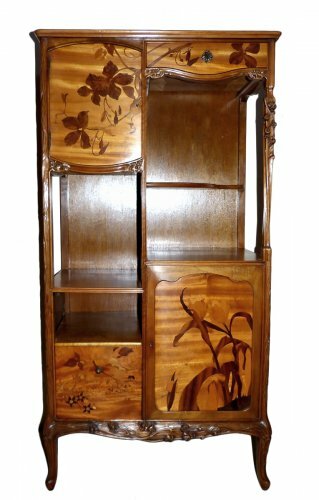 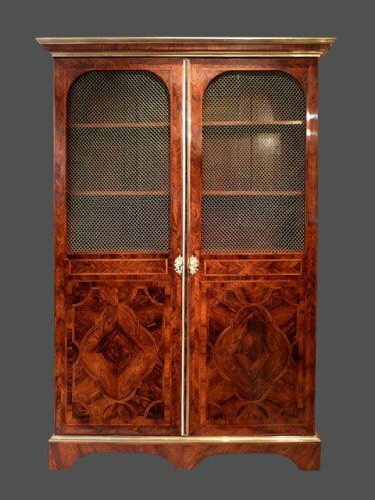 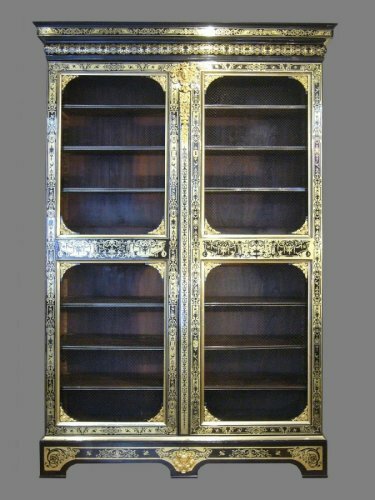 The first models date from the era of Louis XIV: they were tall pieces of furniture composed of two parts (a section with glass doors with a lower section consisting of panelled doors) and stood on two short legs. 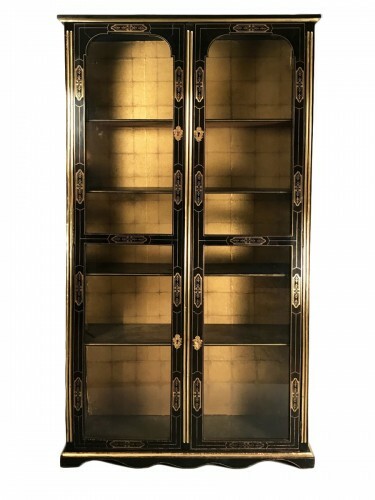 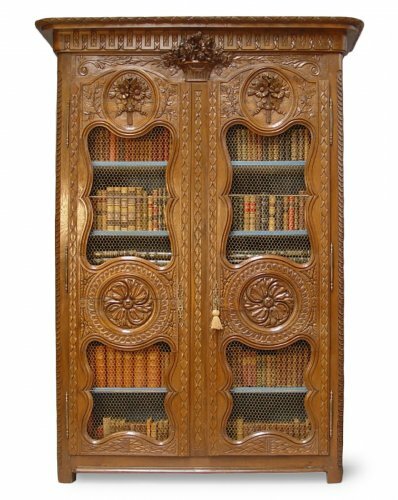 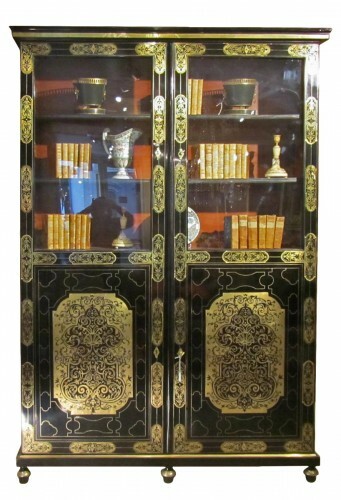 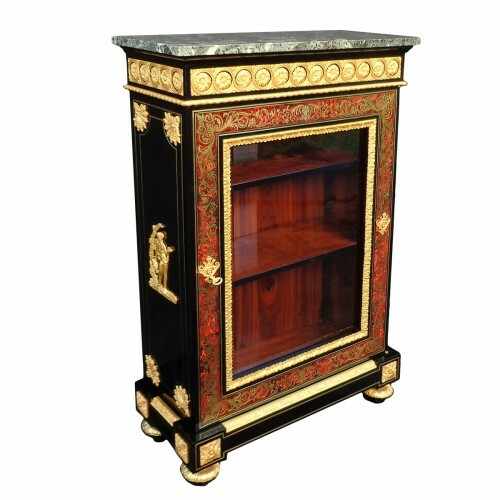 The most lavish bookcases were covered with Boulle marquetry. 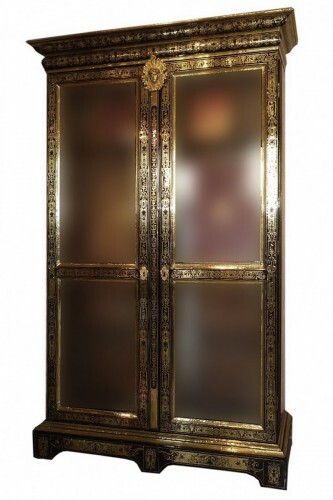 During the Régence period, the front was sometimes entirely glazed and had internal netting. 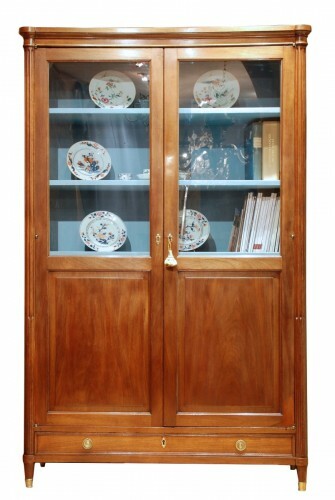 The curved moulding of the plinth and cornice softened the straight lines. 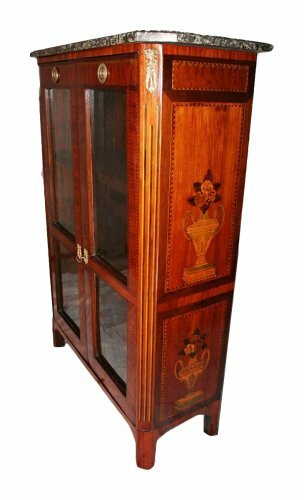 The light and dark wood veneer played on the contrast of the colours: mahogany, rosewood, tulipwood, and violet-wood. 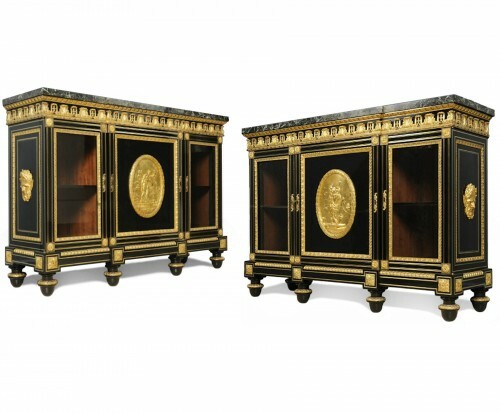 During the Régence period, gilt bronze was little used. 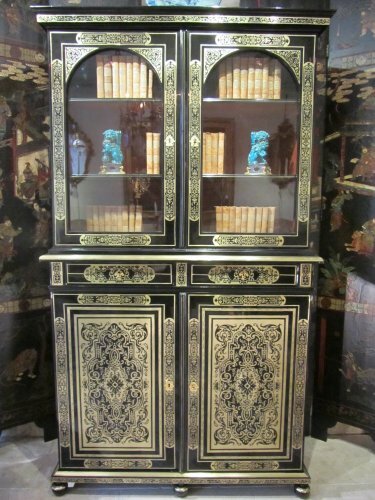 During the Second Empire, display cabinets covered with panels varnished with vernis Martin and decorated with scenes of gallantry enjoyed a golden age.